Having started my journey at Bristol City Council in the City Innovation Team, I was given a strong support network and projects which allowed me to assess how open data could tackle societal issues, and how better connectivity could boost the efficiency and productivity of businesses and organisation. 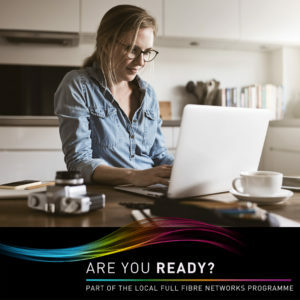 The Gigabit Voucher Scheme allows both businesses and residents to enjoy gigabit-ready full fibre internet by getting a contribution of up to £3,000 towards installation and equipment costs. You can find out more about how it works and see if you can get a voucher by visiting the Government’s website. The funding is only available for a limited time, so businesses and organisations (you need to be an SME) should not delay in checking with a registered supplier on the scheme if they are eligible. The scheme started as a pilot in Bristol and B&NES and has now gone nationwide. The Government has allocated £67 million to the scheme, but as it’s nationwide, the funds will soon be committed. We’re keen to encourage Bristol residents wanting a full fibre gigabit connection to engage with the scheme. If they join with local businesses, they can get a £500 voucher towards their installation / set up costs. Contact a supplier and see if there’s a scheme you can join – find out more. Several key benefits became evident to me whilst working on the scheme – the new full fibre connections deliver greater reliability and faster speeds / capacity, which in turn unlocks innovation in businesses and enables them to be more productive. This boosts the bottom line for businesses. We’ve had businesses from all sectors benefit from the scheme which shows that gigabit-ready internet is not just for the digital / creative sector – all organisations can benefit from full fibre. We still have the problem, however, that many Bristol companies don’t appreciate what full fibre can do for their business – check out how your business could benefit. I’ve seen at first hand how the internet connection can go from a source of frustration as they struggle to upload large files for a tender, for example, to a new connection which is frictionless, just works, and really helps their business to thrive. Part of my role was to go out and visit companies and verify their new connection which added a personal touch to my role. I have visited sites far and wide across the city ranging from a local ambulance service, student accommodation, the Old Vic Theatre, legal chambers to several digital companies – talking to entrepreneurs and IT Managers about the problems with their old connection and what they’re now able to do. The investment from the Government has given local companies the ability to operate in ways not possible with their previous slow, and often unreliable, connections. I’ve also enjoyed building good links with the registered suppliers on the scheme. 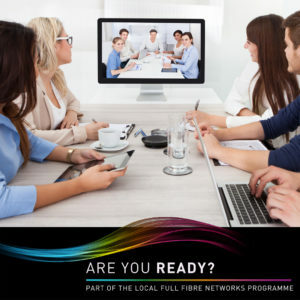 They are a dedicated bunch of full fibre enthusiasts who are beating the drum every day for what a gigabit connection can do for your business. As I move on to pastures new, I am aware more than ever of how extending fibre networks is key to the future prosperity of Bristol and just how important it is to an organisation – even if they don’t quite appreciate this at the moment!